Whatever it takes, our Agents will get their kills. Let's review some of the highlights from the week of May 25th @ 00:00 EVEtime through May 31st @ 23:59 EVEtime. Ore Cop ran into the real police of highsec when Agents Brutal Anna and Rick Therapist came calling. 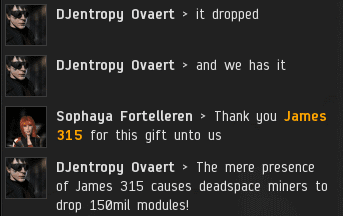 The devastating killmail shown here doesn't even factor in the extra value of the "Mackinaw ORE Development Edition", but the ORE Strip Miners were expensive enough. But wait--what are those rigs? Two tech I "Medium Gravity Capacitor Upgrades"? ...Which unfortunately cost more than 600 million isk. It, too, had two ORE Strip Miners. She took extra precautions when fitting it, because it was equipped with a tech II Medium Gravity Capacitor Upgrade. Despite the Retriever's superior probing abilities, our Agents caught it by surprise. As you can see, white knights have no honour. Only Knights of the Order do. 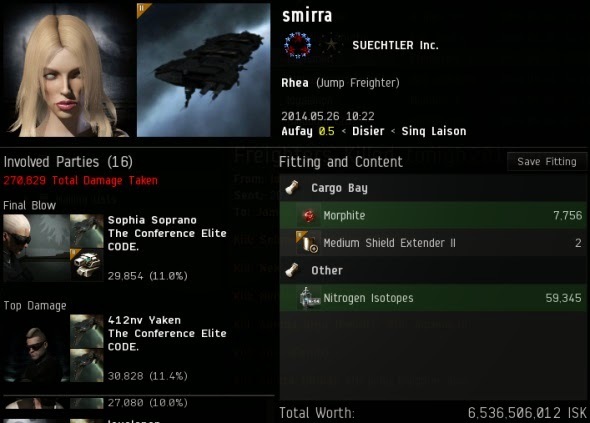 smirra made history by becoming the fourth jump freighter destroyed by New Order forces. Congratulations to Agents 412nv Yaken, D400, Sophia Soprano, Capt Starfox, unknown boat, loyalanon, Shin Dragoran, Cilarien, James Haythem, DJentropy Ovaert, Dillon Hawk, Angel Pirate, Agent 70, Hottentott, Princess Suicide, and Xeihun Khamez. A ship like that, without a New Order permit, may as well be an expensive paperweight. Many, many freighters were ganked this week. 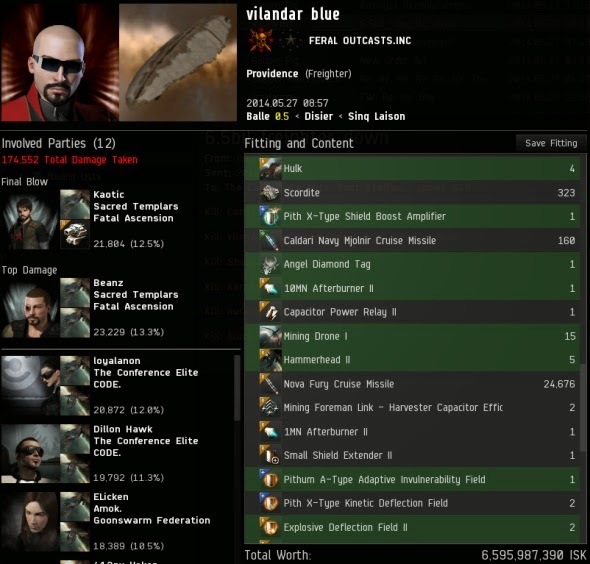 vilandar blue's 6.5 billion isk freighter was destroyed by a combined fleet with members of CODE., CFC alliances, and even Nulli Secunda: Beanz, Kaotic, loyalanon, Dillon Hawk, ELicken, 412nv Yaken, grebnedlog kram, Rabe Raptor, Xeihun Khamez, Angel Pirate, Amyclas Amatin, and Princess Suicide. It's amazing what we can accomplish when humanity unites as one. Should we consider it bullying when a freighter pilot has an inexpensive pod? I don't know. 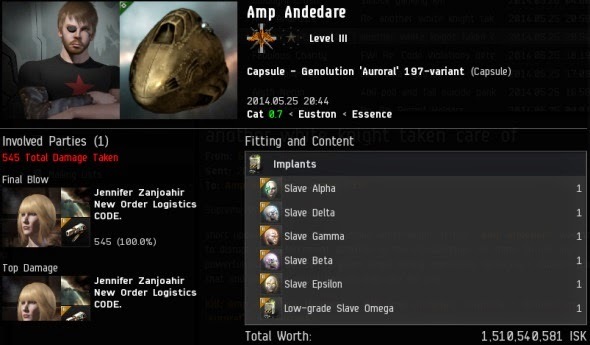 But I'd hate for CCP to lose subscribers because some freighter pilot didn't produce a shiny podmail. Speaking of pods, normally this would be the spot for the Pod of the Week, but this time we've got something special. 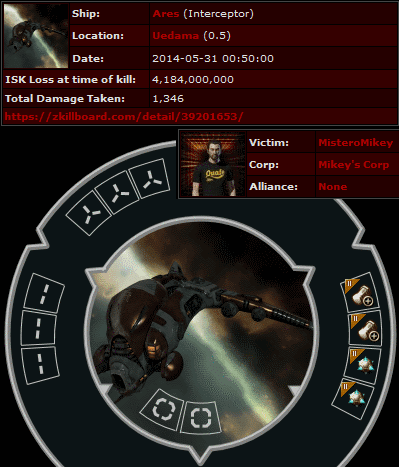 MisteroMikey lost a 4 billion isk Ares. 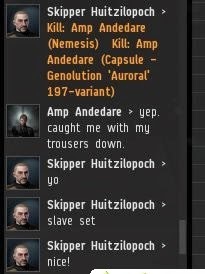 Naturally, the Ares was anti-tanked and AFK. Even more naturally, it was killed by Agent D400. 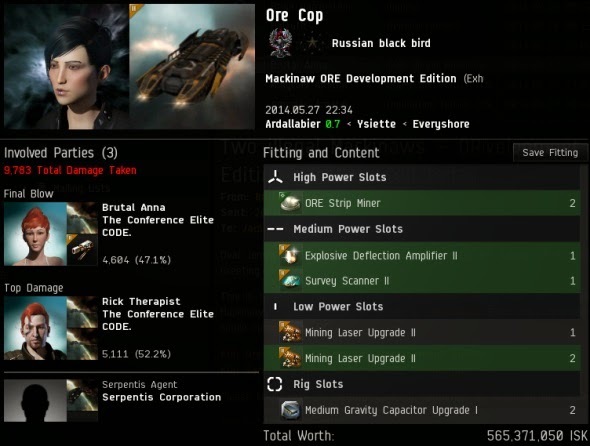 Why is this Ares worth over 4 billion isk? 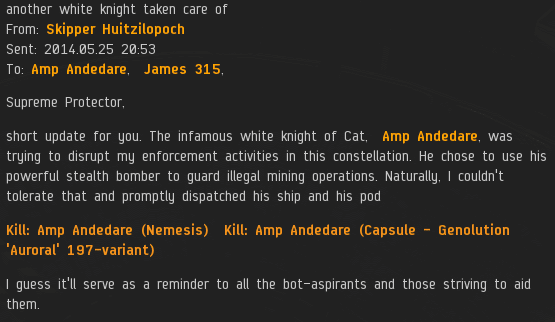 People of highsec, if you really care about your cargo, you won't go AFK in an anti-tanked ship. And you certainly won't enter New Order territory without a permit. Where do these people keep finding these expensive pods? I've checked the market and there aren't any buyers or sellers. Wow, I don't enjoy mining and don't see the point of going AFK to play a game, but you guys are just sociopaths. Really, I mean, I get that you find this funny, but so do kids flushing some poor soul's head in the toilet at school. Admittedly the reaction of some people, eg Detomir, over something that happens in a game is also ridiculous (and unnecessarily gratuitous), but bullying is anti-social and unpleasant in all its forms. Go and have a beer and get laid or something. I think you've perhaps spent far too much time reading the Ganking is Bullying website that is so popular amongst opponents of the New Order. 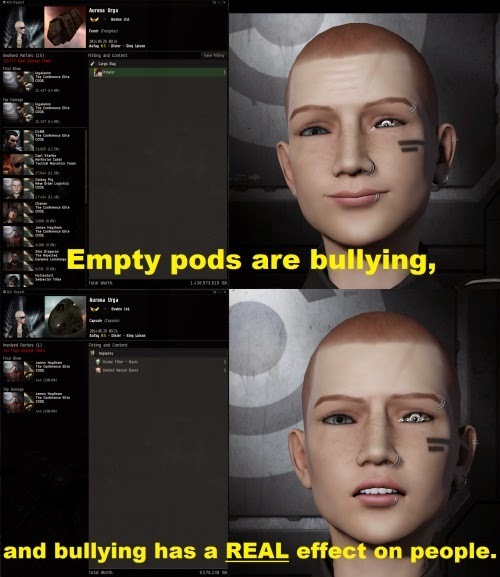 EVE-Online is a game about conflict. It's not a single-player strategy game, it's not a on-the-rails single player FPS game. When people claim that ganking is bullying, I can't help but imagine them joining a Counterstrike server and saying that they're being bullied because other people are headshoting them when all they want to do is look at the pretty maps. 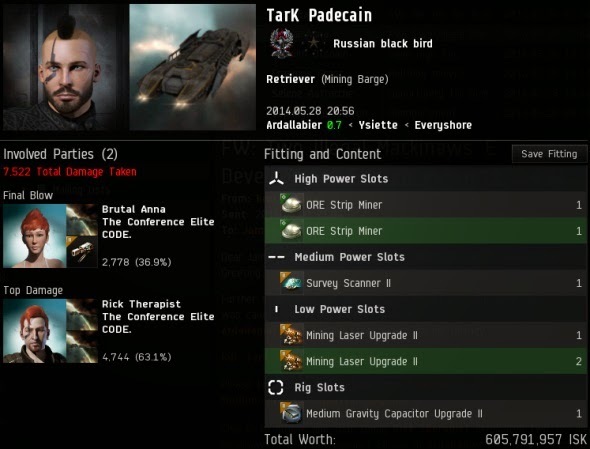 The sandbox *does* allow you to play EVE-Online as a single player game... just as the sandbox allows *other* people to play it as the MMO that it actually is... so yes, you can play it as single-player with as little interaction with others as you want... up until those "others" decide *they* want to interact with you. EVE may be a dark, dystopian world set far, far into the future, where "might means right", but that's the sheer beauty of it. I've never read the website you refer to, to the extent that I don't have a clue what website you're talking about. I'm talking about the bullying behaviour. Ganking someone is fine, it's part of the game. It's the winding them up about it and the gloating which is bullying. 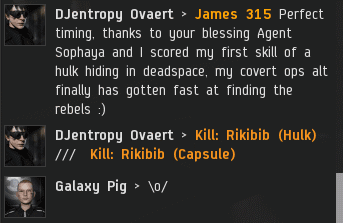 I have been killed a number of times since I started playing Eve, all in low or null sec, and all I've said to the people that killed me was either well done, or asked how they tracked me down so I could learn. None of them gloated over it or acted as if they were somehow just law enforcement. This bunch need to either kill people and move on, or as I said, go out, have a beer and get laid. Ganking somebody is fine, but *telling* somebody that you ganked them... that's really going too far. Bullying like that is literally torture and needs to stop right now.